You could say we’re a little bit excited about the fact two of our students are competing in this year’s Rio Paralympics. But that’d be a filthy lie. We’re over the blimmin’ moon, blog-writing-so-we-can-show-off-about-it excited. Woo go team! Sorry. 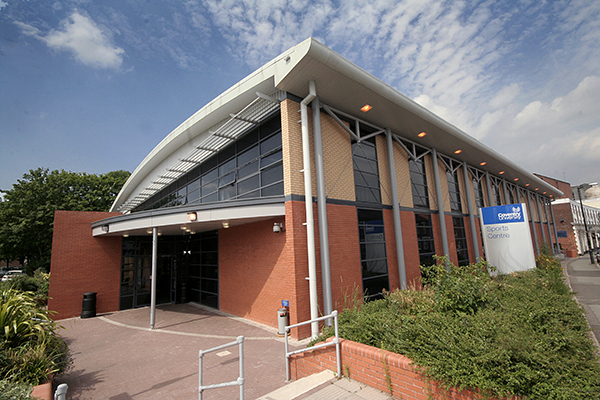 Not one, but two of Coventry University’s sporting stars will take centre stage at the Paralympic Games this summer. 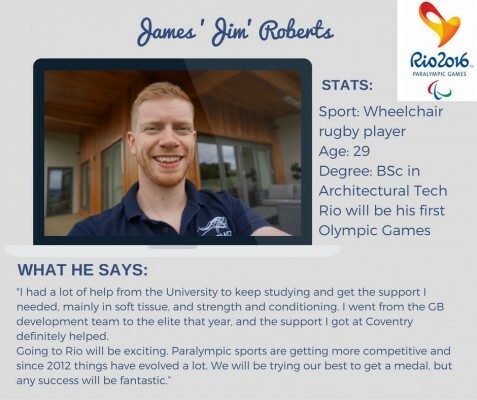 Wheelchair rugby player James (Jim) Roberts, and wheelchair athlete Hannah Cockroft MBE, will both be going for gold from September 7th. Graduate Jim, and Hannah, who is taking time off from her studies in Journalism and Media, both won Coventry University’s sports scholarship, helping them both academically and on the training ground. Want to meet them? We knew you would! Jim was previously on the Uni’s squash and rugby teams. But after his first year, he contracted meningitis, and was forced to have both legs amputated beneath the knee. During two years spent in hospital, he discovered wheelchair rugby. He now trains professionally, has progressed from Team GB’s development team to the elite squad, and has made it to Rio to compete as a paralympian. Hannah Cockcroft has been there, won that. At London 2012 she won gold medals in the 100m and 200m events, but this year, she’s got her sights set on the triple. She’s adapting her events slightly and is now set for gold in the 100m, 400m, and 800m. We wish you every success in the world Hannah! 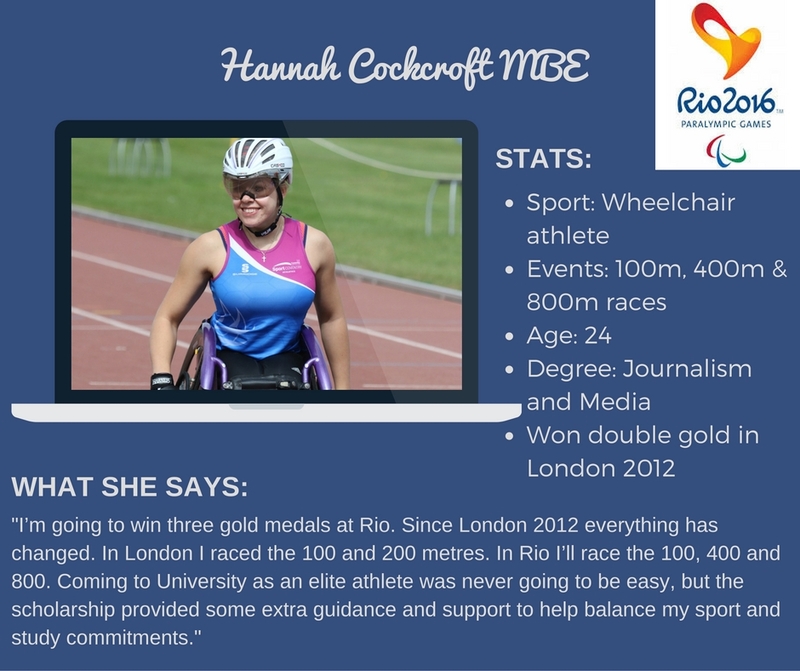 Keep an eye out for our Paralympics coverage, we’ll be bringing you all the events to watch out for, and of course, we’ll be tracking the success of Hannah and Jim! #Trending, Health & Wellbeing, Interviews, plus, Sports at Coventry, Student Life, Student Wins, Why Cov Uni?